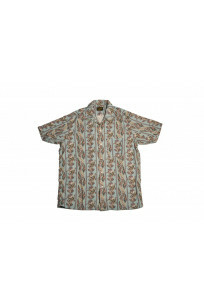 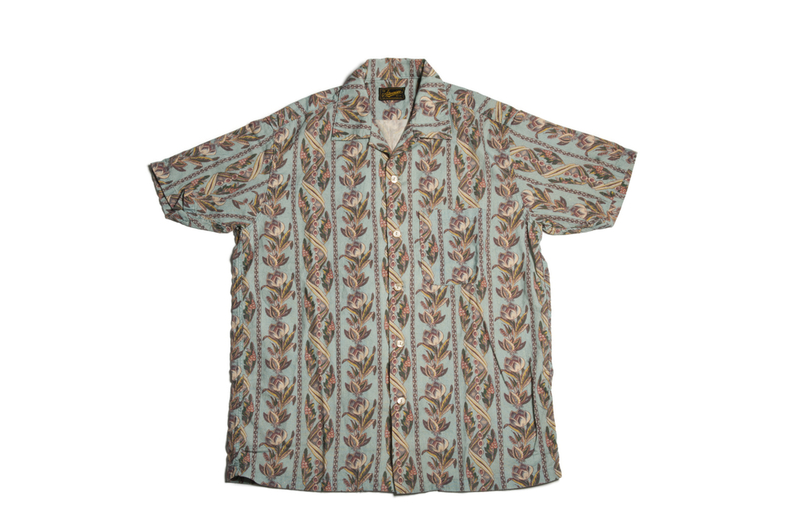 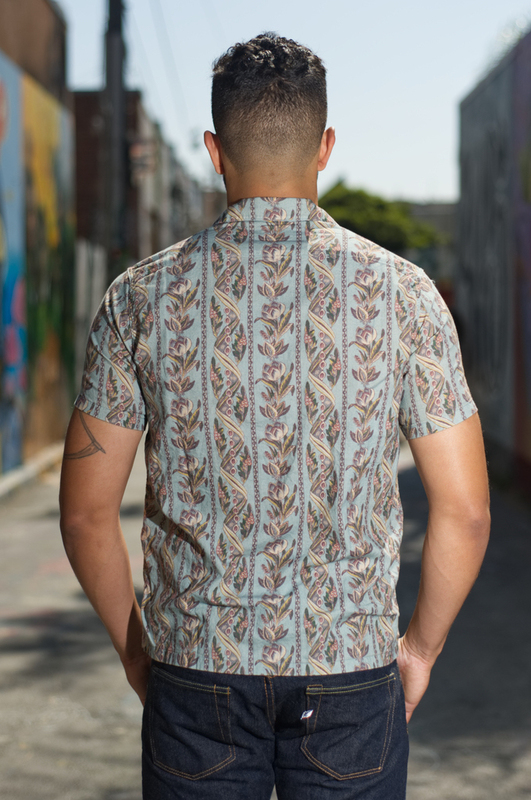 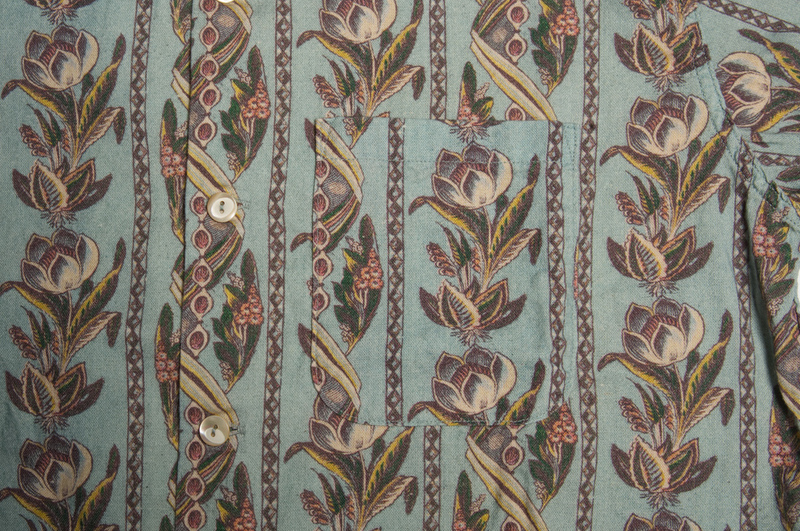 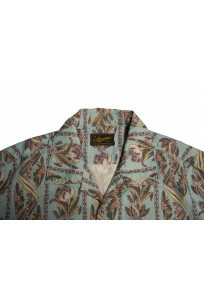 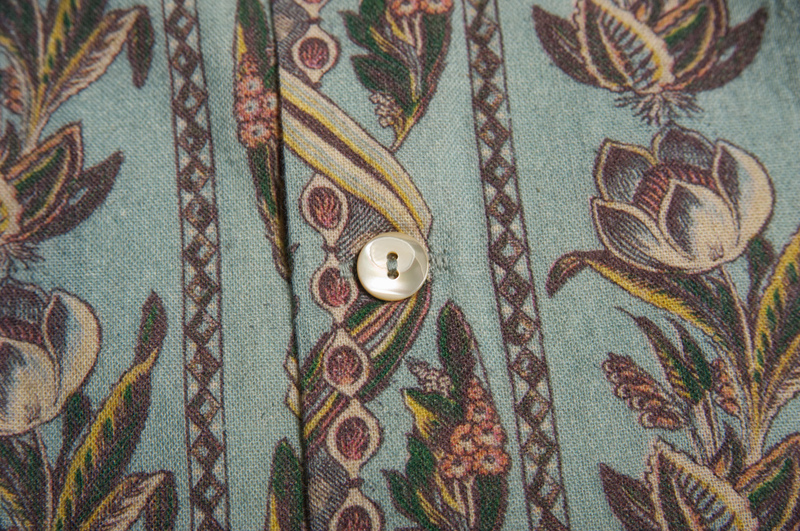 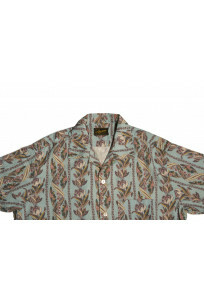 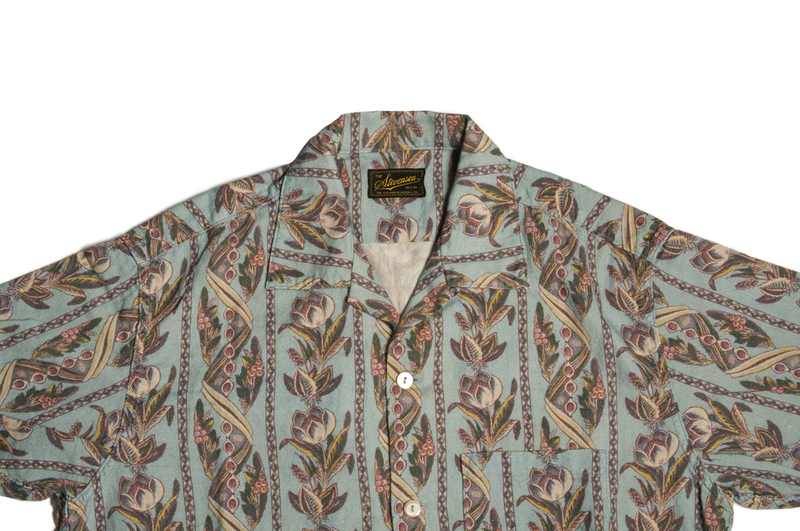 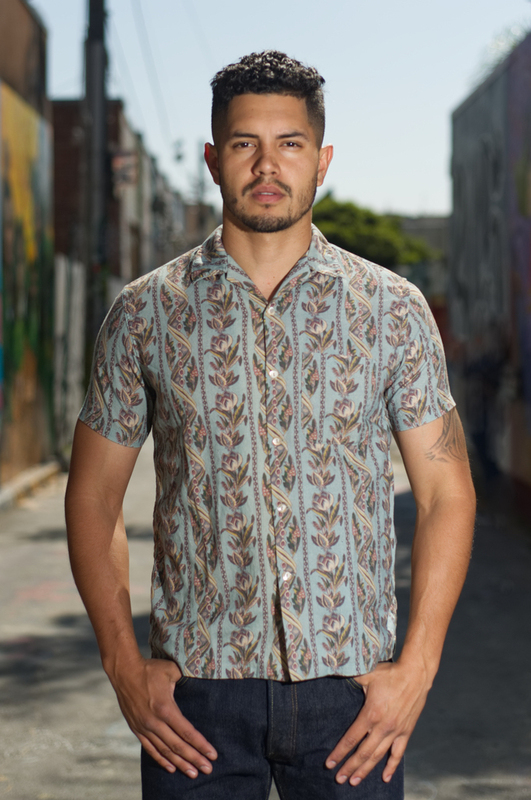 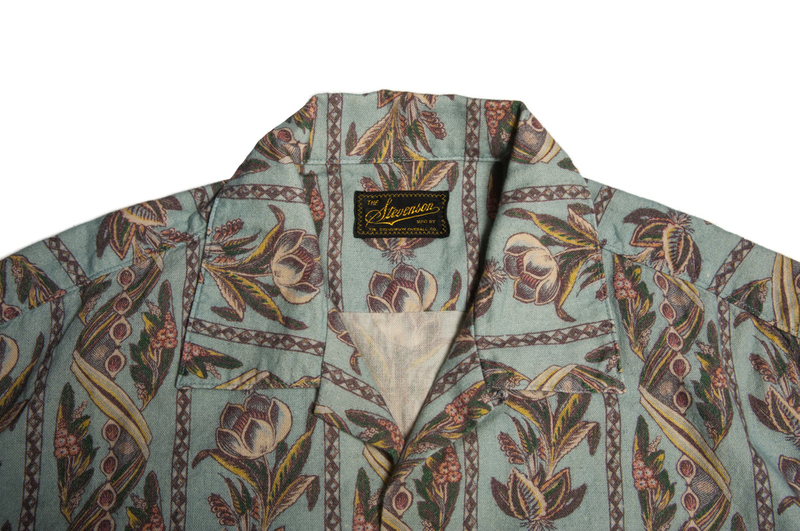 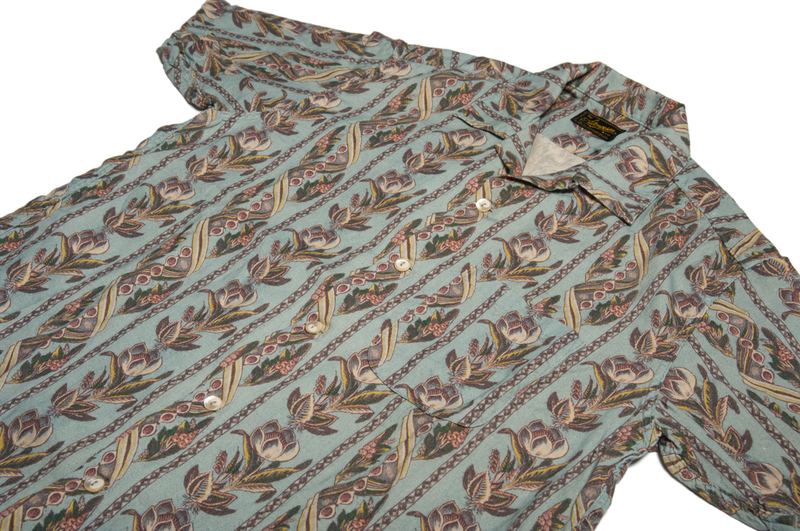 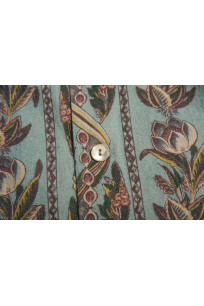 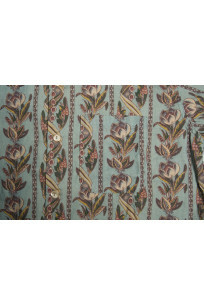 A great summer shirt made of an original printed cotton gauze fabric. 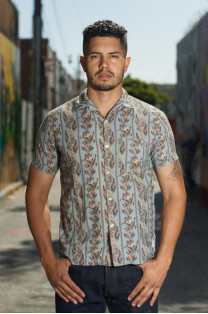 The fit is slightly boxy, meant to be worn untucked, and due to the color can be worn with a variety of jeans or shorts. 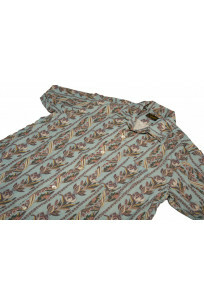 Chest 42.8" 44" 45.5" 47"
Vertical Length 26.9" 28" 28.4" 29.3"
Sleeve Length 8.5" 8.5" 8.8" 8.9"
Shoulder Width 16.9" 17.4" 17.9" 18.6"